Wondering what are the hot toys for 2016? What are the best Tech toys for 2016? The coolest STEM for the season? What to get your toys are best for toddlers or teens? What will be the most popular toys for Christmas? Then you have come to the right place! With the new 3Doodler Start, kids can finally bring all of their wonderful and imaginative ideas to life in 3D. This 3D printing pen extrudes an eco­friendly plastic that cools and hardens rapidly, allowing kids to literally draw in the air. Specially designed to be clean and safe for kids, with no hot parts or messy resins or glues. Easy to use thanks to one speed, one temperature, and no software or technical knowledge required – just turn it on, insert a strand and start doodling in 3D. Project MC2 We Heart Chemistry Kit gives kids supplies and instructions to conduct fizzy, foamy, color­changing chemistry experiments. Conduct 10 awesome experiments with everything in the kit and some additional household materials. test tube, and even mix your own to see what you can create. Thames & Kosmos partners with Mattel for a science kit featuring Barbie and Nikki. Learn about chromatics, engineering, and more. Available: Toys R Us, Target, Walmart, Amazon. Build your own video games with Bloxels! Create and animate play spaces, characters and objects because you are the artist, fame designer, storyteller, programmer, publisher, and player. The physical pieces in the Bloxels game set work with the free Bloxels Builder app to digitize your creations, put them on­screen and make them playable. video game level take shape! Play levels created by other players online. This wall­climbing robot has a motorized air suction system that enables it to walk vertically up and down perfectly smooth surfaces, such as glass, plastic, whiteboards, and glossy laminates. The battery­powered motor drives an innovative gear system that produces a rotating motion, making the legs move in motions that mimic a real gecko. A full­color manual guides through model building with step­by­step illustrated instructions and scientific information and explanations. Film the next big movie with Lily and her dog, Zoom, with the Director’s Cut Building Set. Build the stage where the video shoot takes place. Once filming has ended, rebuild the stage into a theater to watch the final cut! Have a mobile phone, or small tablet? Kids can film your own movie by building the device stand to hold your phone or tablet, and watch it back with your friends and family! 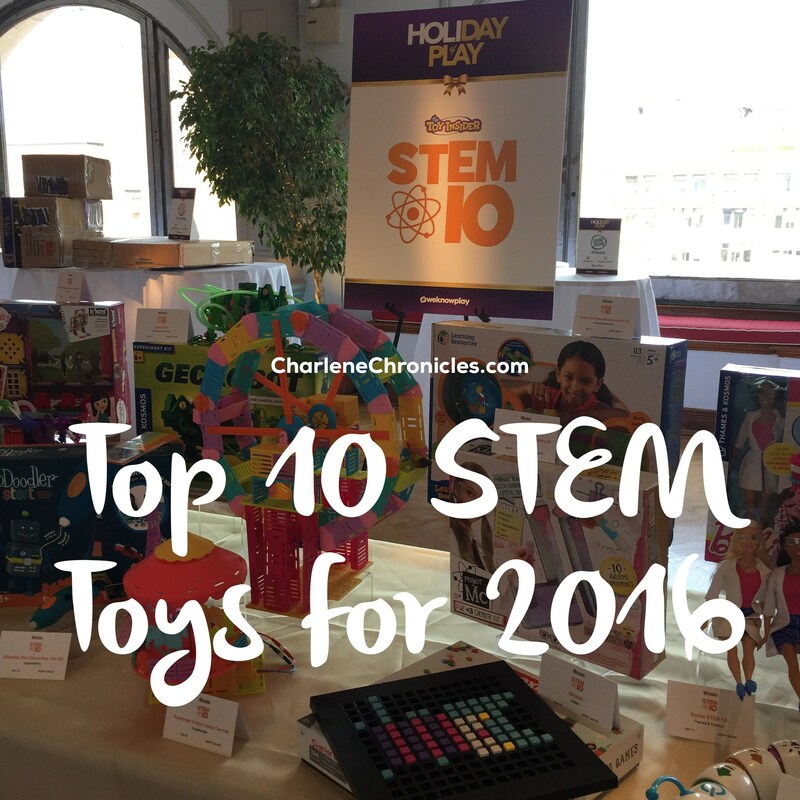 This STEM kit encourages girls to build and play while learning important engineering concepts. Kids can use more than 145 snap­together pieces to create a ferris wheel, carousel, swings, and game tent. Then, attach two motors to bring the rides to life. Kids can also engage in imaginative play with the Bettina and Jenna dolls. 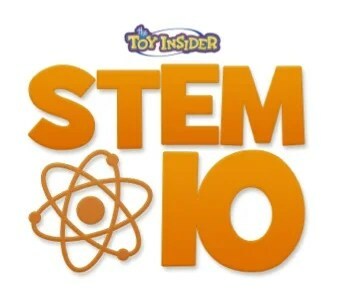 Learn all about intimidating STEM concepts, like physics, engineering, and more. The race is on to build hands­ on coding skills! Kids can build a maze, and then use the coding cards to create a step­by­step path for Colby, the Programmable Robot Mouse. Program the sequence of steps, and then watch Colby race to find the cheese! This deluxe set includes 30 double­sided coding cards, 10 double­sided activity cards, cheese wedge, and more. Activity Guide to provide the perfect hands­on introduction to coding concepts. Colby lights­up, makes sounds, and features two speeds along with colorful buttons to match coding cards for easy programming and sequencing. Preschoolers can arrange Code­A­Pillar’s easy­to­connect segments in endless combinations to send Code­a­Pillar on his path: forward, left, right, or even wait for a couple seconds before moving again. Kids can configure Code­A­Pillar to make him reach the targets they set up throughout the room. Kids will learn sequencing, programming, and more building blocks of coding. Ready, set, take to the sky! The VEX Robotics Zip Flyer is a re­envisioned take on airborne adventures. This robotic gadget is capable of shooting propellers more than 30 feet in the air once kids build the structure using snap­together pieces. Pull the zip­cord stick to release, the faster you pull, the higher they’ll go. tabletop action; two ways to build, two ways to launch. Once it’s up and running, this model is fun for hours. Includes 3 propeller flyers. Don’t forget to check out all my toys reviews here and on the Parent Panel!